Abp. Charles Chaput has written a lengthy and excellent review of Brad Gregory’s book, The Unintended Reformation: How a Religious Revolution Secularized Society, an important historical study that David Paul Deavel reviewed for CWR earlier this year. A well-formed Catholic conscience can choose wisely between the candidates. And this year, vital issues are at stake. Any committed Christian might be tempted to despair. But the truth is that it’s always been this way. As the author of Hebrews wrote, “here we have no abiding city” (Heb 13:14). Augustine admired certain pagan Roman virtues, but he wrote the City of God to remind us that we’re Christians first, worldly citizens second. We need to learn—sometimes painfully—to let our faith chasten our partisan appetites. In the United States, our political tensions flow from our cultural problems. Exceptions clearly exist, but today our culture routinely places rights over duties, individual fulfillment over community, and doubt over belief. In effect, the glue that now holds us together is our right to go mall-crawling and buy more junk. It’s hard to live a life of virtue when all around us, in the mass media and even in the lives of colleagues and neighbors, discipline, restraint, and self-sacrifice seem irrelevant. Gregory argues that today’s relativism and cult of the consumer—what he ironically calls “the goods life”—have roots that run centuries deep. He wastes no time on nostalgia for a golden age that never existed. But he does show with riveting clarity that in the sixteenth century, Protestant Reformers unintentionally set in motion certain ideas that eventually enabled today’s radical self-centeredness. Gregory also shows that while the Reformers lit the fuse, medieval Catholics laid the dynamite. Late medieval laity were, quite often, profoundly pious. And because they were pious, they minded when their leaders weren’t. Pious laypeople had an appetite for reform precisely because of their devotion. Late medieval clergy too often preached one thing and did another. Greed, simony, nepotism, luxury, sexual license, and schism in the hierarchy created an intolerable gap between Christian preaching and practice. Many Catholics worked for reform from within. Some had success. Franciscans, Dominicans, and Cistercians owe their origins to medieval reform. Humanists such as Erasmus and Thomas More were part of an international community of letters determined to renew Christian life from the inside. 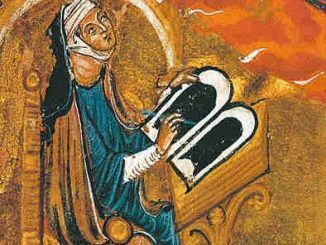 Saints such as Catherine of Siena and Bernard of Clairvaux spoke truth to ecclesiastical power. But one key difference separated these Catholic voices from the Protestant Reformers: The Catholics believed that the Church had her teachings right. She just needed to actually live them. The Catholics believed that Christ’s presence in the Eucharist and other sacraments, in the Scriptures, in the saints, and in the Church’s historic doctrines offered an authentic, all-encompassing Christian way of life sufficient to sanctify human existence—if it was actually embraced and shorn of its abuses. Read the entire piece on the Public Discourse website.